Students can now pursue sub-tracks within the Cybersecurity specialization (formally known as Security Assured Information Systems specialization). More information regarding the course work required for these subtracks are available at sub-tracks within the Cybersecurity specialization. 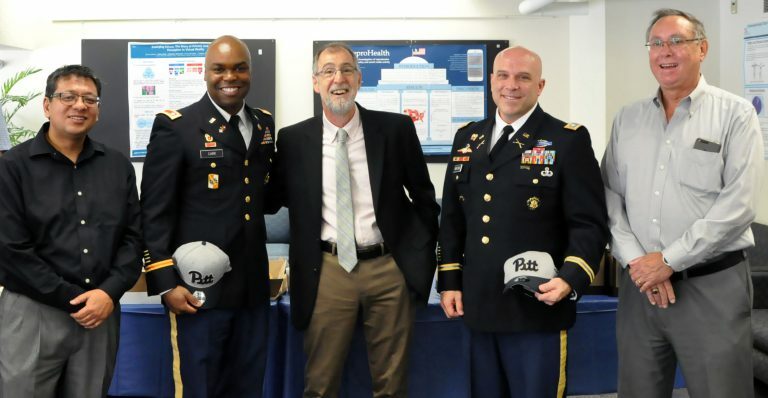 SCI and LERSAIS are very proud to have established the prestigious Army War College Fellowship program, focused on Cybersecurity research/education, with two first Fellows. See the news here. 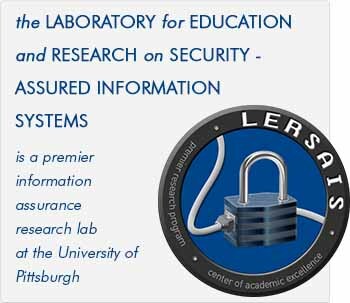 The Laboratory for Education and Research on Security Assured Information Systems (LERSAIS) provides a framework for long-term goals of (1) establishing a premier research program that focuses on the diverse problems related to security and survivable information systems, networks, and infrastructures, and (2) developing and supporting high quality education in security and information assurance. 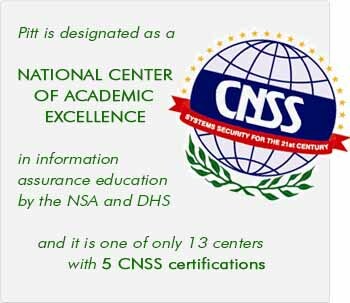 The University of Pittsburgh has been designated as a National Center of Academic Excellence in Information Assurance Education since 2004 jointly by the US National Security Agency (NSA) and the Department of Homeland Security (DHS). LERSAIS is Pitt’s representative CAE, and it has also been designated as CAE-Research. Current CAE/CAE-Research designation is valid till 2021, after which we apply for re-designation. LERSAIS as part of the School of Computing and Information (SCI) serves as a multidisciplinary forum for the synergistic interaction among researchers within SCI as well as other experts in Information/Cyber Security and Privacy or IA-related areas outside the school. We invite industry and academic collaborations in all areas of security research. 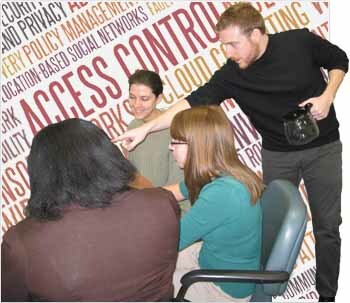 LERSAIS affiliated faculty are engaged in cutting edge security and privacy research, and are also involved in managing the Security Assured Information Systems (SAIS) track of study at the MS level and a Network and Security concentration at the Undergraduate level – both of these currently offered within the Department of Informatics and Networked Systems (DINS). Further, DINS also offers a Certificate of Advanced Studies in SAIS. Prospective Students, academic researchers, business and government leaders, as well as curious browsers with an interest in information/Cyber security and privacy, and information assurance will find opportunities at LERSAIS. If you are curious about securing a webserver, steganography (hiding information in images), or other security topics, visit our online labs pages - built in part with support from the National Science Foundation. Students seeking a theoretical background and practical skills in the design, development, and deployment of highly assured networked information systems can find track and program, scholarship and financial aid, admissions, and campus information. Researchers interested in combining resources to form collaborations on grants, projects, and publications can easily navigate through the areas of research focus, faculty information, institutional resources, current grants and projects, and a national and international conference calendar. Corporate partners who would like to contribute to the education of our students as guest lecturers or special program hosts, or would like to partner with LERSAIS through recruitment and funding opportunities, will find information on programs, seminar series, current research, and graduate students. Friends, current students, and colleagues will find information on the seminar series, online labs, and additional resources. We encourage you to contact us with any questions or to learn more about LERSAIS. When Cyber-Attacks Masquerade as Safety Events Can Catastrophe be Far Behind?